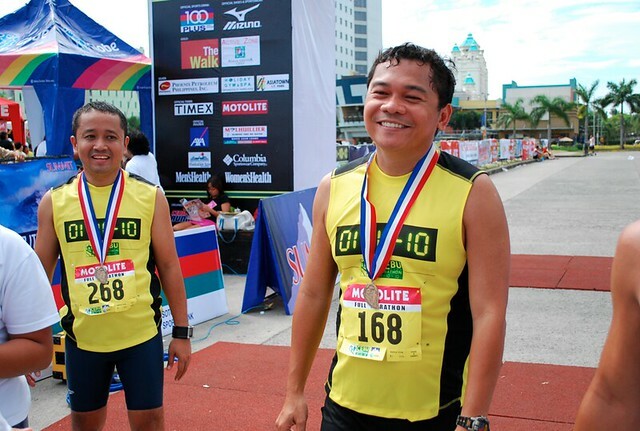 The former Cebu City Sports Commission Chairman plays golf, tennis and airsoft. He kayaks, mountain-bikes, and has climbed the peaks of Mr. Talinis and Mt. Makiling. He has gone sky-diving five times. Triathlon, twice. The Australian Open tennis? He saw Agassi in 2004. But all these games pale in comparison to the passion Atan feels for running. Here’s my latest interview with Mr. Guardo…. Running on the road or running for office? “When you run a marathon the first time, it’s one of the most difficult experiences in your life. You’ll endure all kinds of pain and misery. And when you’re just a few kilometers away from the finish line, you’ll hit the wall. You have consumed all your energy and you can barely walk. You’ll entertain all negative thoughts. You go standstill. You want to give up. I’ve hit the wall several times but, thank God, somehow I am able to breakthrough. I’ve done several marathons and every time I hit the wall, I’ve managed to figure out a way.